Hi! Ummm. It's been a long time since my last post, huh? Well, I'll share with you a bit of what has happened since my previous blog post. A lot has happened during the past month. Many good times with family and friends. In fact, last Saturday 4 of my crafting friends joined me for a day of stamping, talking and laughing. It brought me such joy! What a blessing to have this group of ladies in my life. Each and every one of them is so important to me. Thank you Kris, Cheryl, Ellen and Roberta. At the end of my post, I'll share a photo of these awesome friends. But, January began with a tremendous loss. There was a death in our family on New Year's Day. We lost a wonderful brother-in-law, so my focus has been on family...as it should be. Card making was put on the back burner, until recently. One thing that I have been doing a lot of lately, is cooking. Although cooking is not my favorite pastime, I do a lot of "from scratch" cooking so that I can eat healthy. Lately I've been sharing some of my favorite foods with my Sis...just one tiny way I can help out a bit while she recovers from the loss of her husband. A little comfort food, cooked with love! Truly, when I'm cooking for family it warms my heart and I actually ENJOY cooking. It changes my whole perspective on spending time in the kitchen. 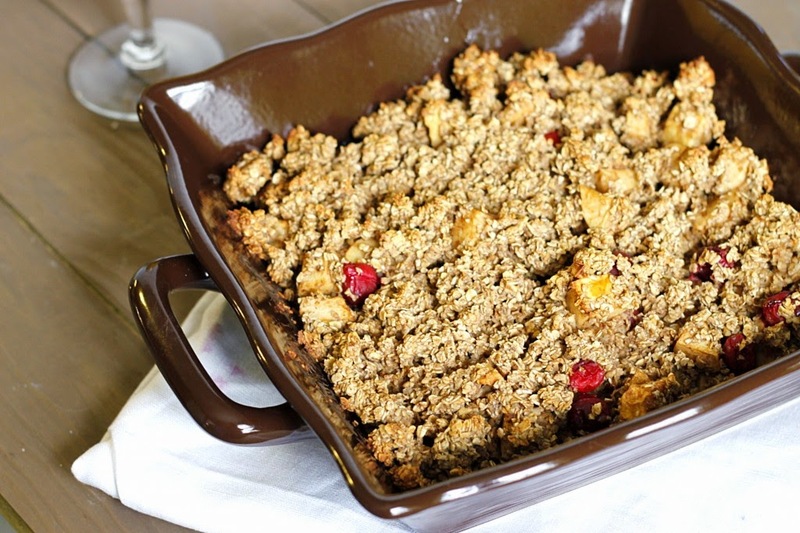 This weekend I've made Baked Oatmeal with fresh apples and cranberries (it's one of my favorite breakfasts). HERE is a link to the recipe, if you're interested. I alter the recipe a little (as usual) by cutting back the brown sugar by half. Also, I add extra cranberries. Occasionally I add some chopped nuts. I also made Not Just Chicken, Chicken Soup. Unfortunately, I can't link to the recipe since it's from Dr. Travis Stork's cookbook. HERE is a link to the book on Amazon. This is my absolute favorite home made soup. LOVE it. He includes several options for grains, greens and herbs to add to this soup, so that you can customize it to your tastes. I use quinoa, spinach and dill in addition to the ingredients in the recipe. Anyway, that's the abbreviated version of my January 2015. If you've read all the way through this post (thank you! ), now you get to see that pic of me and my crafty friends. I had to persuade them to do a goofy pose for this pic. They kinda groaned...and hesitated. But finally gave in. Hopefully....they won's mind me sharing this pic. Well, if they do...it's too late now! From left to right: Cheryl, Roberta, Ellen, Kris and Me. I love this photo! Oh! And I have to show you the Unity sweatshirts that Kris and I are wearing. She's Crafty. Well, yes we are...if I do say so, myself. Friends and family. What a blessing they are. Life is too short to take them for granted. Please let them know how much they mean to you. Often. Love this post - so real and authentic! Thanks for being such a great friend! Looks like a wonderful time, Susie!! !